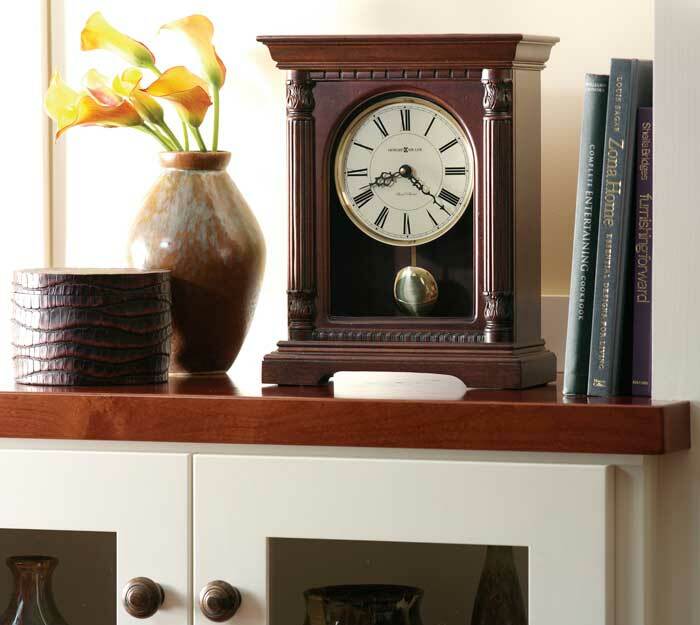 This stately bracket-style mantel clock features reeded columns with carved top and bottom caps, and a decorative molding at the top and bottom of the multi-tiered base. The lamb’s wool dial features Roman numerals and a polished brass bezel. A polished brass finished pendulum swings below. Lightly distressed finish in Hampton Cherry on select hardwoods and veneers. Quartz, dual chime movement plays Westminster or Ave Maria chimes and features a volume control. Automatic nighttime chime shut-off option switch will turn off the chime in the evening hours by selecting. You may also set the clock for traditional quarter hour chimes or hourly only. Powered by two "C" batteries. 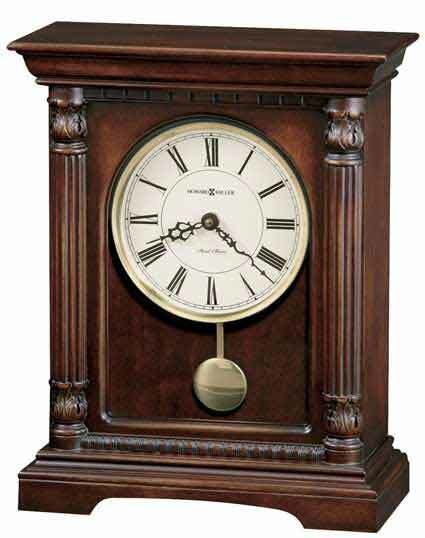 Size: Height 13-1/2", Width 10-1/2", Depth 4-1/2"
Clocks for sale at The Clock Depot including the 635-133 at discount prices.